Arlington, TX – Senior Downsizing Experts has launched a new website devoted to serving the needs of mature adults in the Dallas-Fort Worth Metroplex. DallasFortWorthSeniorLiving.com will provide information on housing options for those 55 plus as well as tips for health and safety, aging-in-place, recreation and entertainment and other news relevant to Metroplex seniors. The site will also feature a directory of senior living communities in the area and a list of resources for mature adults and their families. In addition, there is a section of free downloads which includes newsletters, e-books, and directories. The site is designed to work on desktop computer browsers as well as tablets and smartphones. “We wanted to make sure that the site was mobile-friendly and accessible no matter what type of device our guests are using. 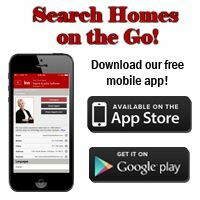 The mobile site even allows visitors to call us with one touch from their smartphone,” says John Sullivan.